→How to Care For Oily Skin to Prevent Acne? Oily facial skin is one of the most common skin types in women and often causes a lot of trouble. Oily facial skin type is not only faced with the risk of acne but also has the role of mucus moistened, thus leaving discharged residues and dead cells in the accumulation of pores. Taking care of oily skin is very important. Therefore, you should know how to regulate oil gland activities and keep the pores open in order to prevent acne formation. Mucus plays an important role as it is believed to be number one cause of acne on the skin. Mucus helps to moisten and lubricate the skin along with releasing the dirt and dead skin cells in a stagnation of the pores. So the best skin care routine for the oily skin is not to just clean the oiliness but to the keep pores open and prevent the formation of acne. Slime and dirt are not direct causes of acne as you may think, however, they cause clog pores and form acne indirectly. Therefore, proper hygiene and hand washing is an effective way to control acne and is a necessary step too. Cleaning the skin is an important issue for all skin types, especially for people with oily skin. You should prepare a makeup cotton pad, moisten it with makeup remover, and gently wipe the face by clamping cotton in the middle finger and ring finger while rubbing it in circular upward motions. You should use a cleanser meant specifically for oily skin as it helps clean the skin more effectively. Make sure you do not use very hot water when washing the face. This step is necessary to ensure a clean and healthy skin, to prevent the entry of harmful bacteria. – Exfoliation is an important step in the oily skin care process. Oily skin attracts dust particles easily which increases the risk of acne. 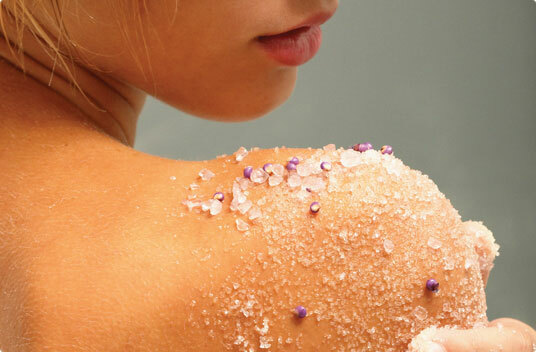 So every week you should exfoliate the skin 1-2 times to open up the pores, brighten and smoothen the skin. – When exfoliating, it is important to ensure that you do it gently to encourage the process of exfoliating dead skin without harming the sensitive cells of the skin. – Implement exfoliation massage movements in circular upward motions on your face, focusing your attention on different areas such as the nose and forehead. Rinse your face to prepare the skin for the next step. Rose Water will help tighten pores after cleansing and exfoliating. This is a basic skincare routine and highly effective when combined with milk or moisturizer for the skin. Wet cotton adorned with rose water, wipe it over face in the upward direction. This is an important step in the daily care of our skin. You must make sure that you choose the right kind of care for your skin. Facial mask will help you remove dirt and debris deep within pores. Therefore, you should maintain the habit of using facial mask 1 times/week for oily skin care effectively. Note: You should not overdo the mask as using facial mask too many times a week can irritate your skin, thus producing more oil and increasing pore size. For daily care of oily skin, you should use lotions containing AHAs. This lotion stimulates the production of collagen and hyaluronic acid to the skin, which helps keep the skin smooth and prevents strain aging process effectively. Besides, the use of sunscreen is essential to protect your oily skin and it is extremely necessary.